A triumph in modern design and sophisticated architecture, this brand-new residence occupies a desired elevated position and possesses exceptional spaces spanning over three levels which are finished to the highest level. 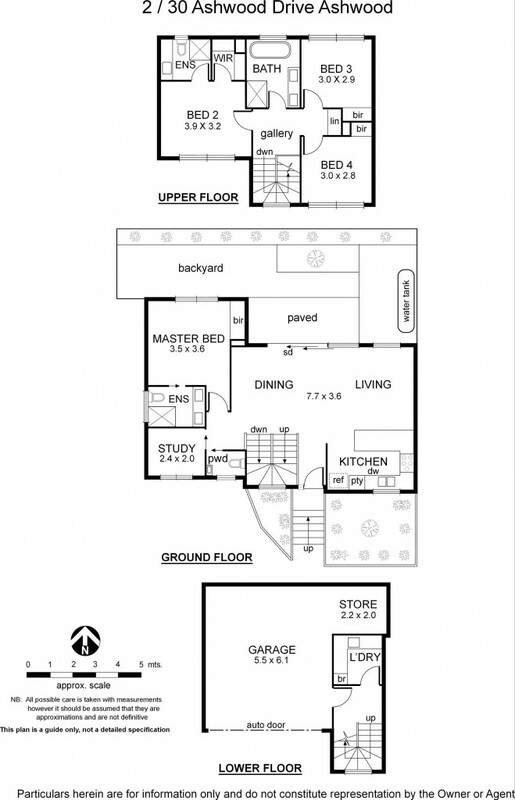 The sizable and well-designed floorplan caters for large scale living with master bedrooms (ensuite and walk in robe) both downstairs and upstairs plus two further bedrooms (built in robes) and additional separate study. Expansive open plan living and dining areas are accompanied by sparkling gourmet kitchen which includes stainless steel appliances and stone benchtops. Main bathroom with floor to ceiling tiles and bath tub are joined by two ensuites plus separate powder room and separate laundry. Internal living zones flow perfectly onto outdoor entertaining area and gardens to create a charming setting with high fences to ensure privacy and exclusivity. Double basement garage and huge storage area further add to the convenience. Just some of a long list of features include; heating and cooling, double glazed windows, video intercom, gas cooking, soft-closing drawers, abundant storage etc. A luxurious lifestyle is provided in an elite location with easy access to Chadstone Shopping Centre, Monash Freeway, quality primary and senior schooling, Burwood Village shopping and cafes and within walking distance of Gardiner Creek trail and parkland, tram and bus plus within Ashwood College Zone.